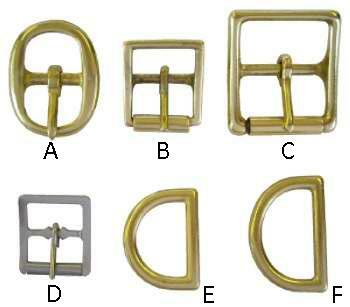 A selection of belt buckles and fittings suitable for various applications during the manufacture of saddlery, belts, satchels and other small leather goods. The buckles and fittings are hard wearing and specially designed and manufactured for us to a high level of quality. If you have any further questions or queries, or you would like to place an order, please do not hesitate to contact us.